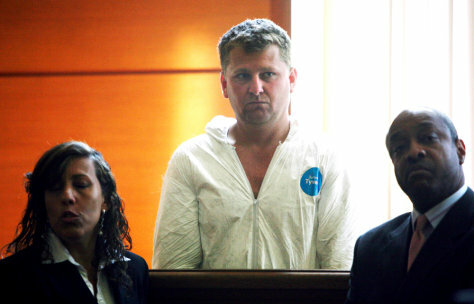 Jeremias Bins appears for a hearing in Framingham District Court, in Framingham, Mass. in 2006. Bins, a 32-year-old native of Brazil is on trial for allegedly beating his wife and 11-year-old stepson to death after becoming frustrated with her involvement in the Mormon church.